500 Startups is pulling back the curtain to reveal the eighth batch of startups that it admitted into its accelerator program. However, this isn’t just an ordinary group of companies — it happens to be the inaugural class that is joining the firm’s San Francisco program. For the next three months, 28 companies from around the world will work out of “500 Del Norte”, the program’s city office. In addition, 500 Startups is welcoming two new venture partners to its team: former Wittlebee CEO/co-founder and current “Distribution Hacker” for 500 Startups Sean Percival and former Yahoo! employee Marvin Liao. 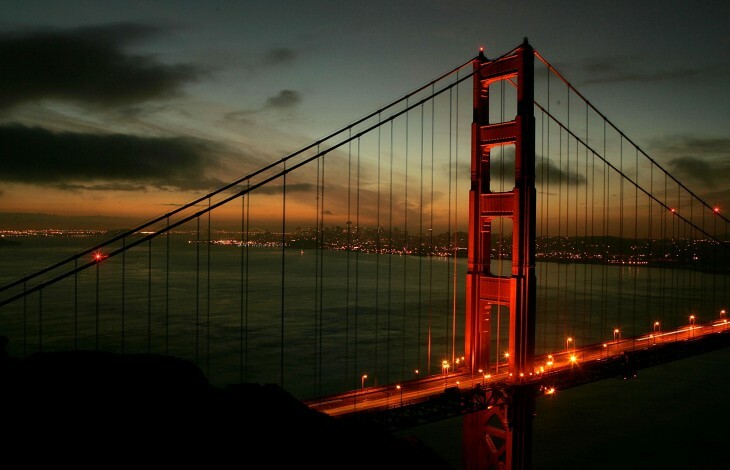 Last September, as the seventh batch of accelerator startups was announced, 500 Startups was working on processing applications for its next batch and said the companies would be based in SF, a departure from its traditional setting at its office in Mountain View. Like with past classes, the eighth grouping is an international one, with startups from Spain, India, France, Canada, Jordan, Israel, Egypt, Brazil, Taiwan, and Hong Kong. As always, 500 Startups makes it a point to highlight some trends for each class. In this case, it’s filled with those targeting influencers (FameBit and EquipBoard) and also startups seeking to establish marketplaces (Holidog, SoundBetter, and Unwind Me). Primeloop (formerly clippPR): This company makes it easy for brands and agencies to clip all their press, measure the value of PR, and re-engage in public conversations to build trust and loyalty. CultureAlley: Learn languages through interactive videos and then practice it on Facebook or Twitter. The goal is to transform your everyday social media activities into a language lesson. Doorman: A package delivery on demand service to ensure you won’t miss a delivery every again. It operates until midnight every day of the week. DOZ: A marketing agency “in the cloud” that helps online businesses become international by “automagically” curating local marketers putting them to work in an all-in-one platform. Enchanted Diamonds: Help you discover the ring size and taste preferences of your loved one with Enchanted Diamonds’ ring registry and deliver “bespoke engagement rings” specifically made for them. EquipBoard: An e-commerce platform that connects products to the influencers that use them. FameBit: A marketplace for businesses to find, hire, and work with YouTube influencers in order to receive product and service endorsements. Friend Trusted: A home remodeling startup that lets you take photos of your kitchen or bathroom and receive estimates from top-rated contractors. Guidekick: A mobile interpretive tool that creates a learning experience for visitors at high-profile historic attractions. i3zif.com: A startup that teaches users how to play musical instruments through video tutorials made with the help of musicians in the Arab world. Ja Entendi: An education startup that leverages blue-collar workers in Brazil to help transform content from books, booklets, and manuals into a video lesson. Pijon: Send college car packages and student supplies to your child or loved one every month with Pijon. PredictionIO: An open-source machine learning server for software developers to create predictive futures. Quest: A startup with a Q&A mobile app. Raisy: Raisy partners with brands and services to help schools succeed in their online fundraising efforts. Rapt.fm: Chatroulette for rap battles, but with the capability to allow artists to build their fan bases, get discovered, give live concerts, and monetize their efforts. Remark: A browser-based platform for video annotation. Roam & Wander: This company makes games, apps, and toys for kids under the TuTu and DiDi brands. ShareRoot, Inc.: A social marketing suite for Pinterest to help brands deliver and measure engagement on the interest-based social network. Shippo: Shippo helps make international shipping easy and cheap for e-commerce businesses. It aggregates shipping volumes and gives customers access to cheaper shipping providers. Simmr: Simmr elevates the typical meal out by giving diners access to behind-the-scene experiences at their favorite restaurants. SoundBetter: A marketplace for music production talent. Unwind Me: This startup is building the brand for accessible massage and wellness. VenueSpot: An online marketplace where venues bid to host your events. WhalePath: An on-demand research platform where professionals can order business research from a group of qualified and vetted top tier students. WUZZUF: A job-matching service that simulates how “human” recruiters think, screen applicants, and communicate with employers and job seekers. In a slight break from tradition, this new class hasn’t produced a video announcing itself to the world … some may consider this to be a good thing. As mentioned earlier, 500 Startups has brought on board two new venture partners, although one of whom is already affiliated with the firm. Sean Percival was previously the Vice President of Marketing at Topix and had been helping 500 Startups as a “distribution hacker”. Now elevated to a venture partner, he’ll be focused on making investments in Bitcoin-related startups as well as helping portfolio companies improve their distribution and marketing efforts. Marvin Liao is going to be focused on helping grow both accelerator programs in Mountain View and San Francisco. He’ll also be assisting 500 Startups with finding new companies to invest in. Previously, he had a long stint at Yahoo working in sales, business development, ad operations and marketing, giving him much-needed international experience as he dealt with companies across Asia, Europe, Latin America, and in the US — all within 500 Startups’ wheelhouse. He also helped run online marketing at e-commerce startup Alibris.com. This is the first time that 500 Startups has gained new partners since last March when it named George Kellerman to the position of partner and Parker Thompson as a venture partner. At that time, Paul Singh stepped down to work at dashboard.io. Lastly, if you’re interested in applying for the next batch of accelerator companies, the application process is now open with submissions due by February 21.